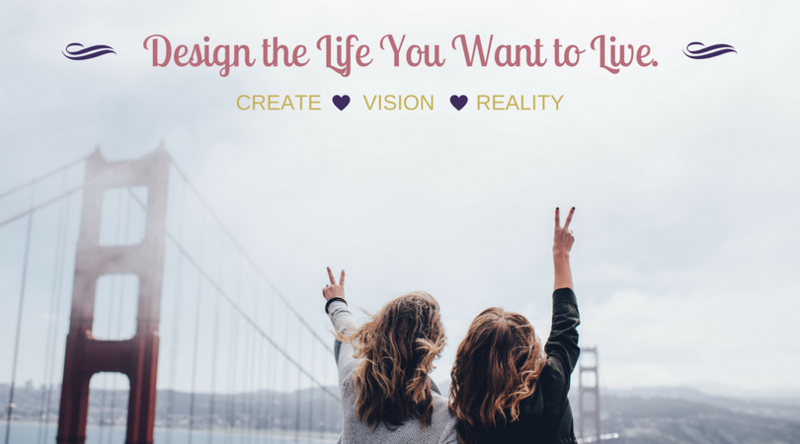 Envision Your Best Life: Learn Effective Manifesting Tools to Create a Life You Love. Do you want to learn the secret to creating an amazing life? Are you ready to create an amazing life that is fueled by your desires? Are you looking for something fun and different to do this weekend? Do you know what your defining moments in your life are? Is this your sign and wake up call to alter your life? Book a private day with me and you will learn the secret to creating an amazing life filled with endless possibilities. This workshop is a perfect self-care treat for yourself so you can get clear on what you need to create your amazing vision for your life. This workshop is also ideal for team building events, inviting a small group of friends or loved one for an unforgettable day together. This workshop is a blissful day to share some lighthearted laughs while supporting each others dreams. I guarantee that you will walk away happy at the end of this powerful workshop and glad you attended. In this 3 hour workshop you will discover the secret to manifesting your personal life goals while creating a beautiful piece of art inspired by you and by the life you want to create for yourself. Join other like-minded women who want to spend a fun filled day laughing, sharing ideas, learning, and growing together. You will have the opportunity to explore your creative side as you ignite your passions and truly discover what you want in your life. It’s a magical experience and the perfect time to connect with the powers of creativity and abundance to manifest your desires. A vision board is a collage of pictures, phrases, words or items that represent you and your goals. A vision board is a tool used to inspire you to get clear and focused on your short-term or long-term goals. It helps paint a visual picture of how you see yourself and your life in the next year to five years. A private lesson on how to manifest your goals the right way and how to use manifesting tools to create the life you love. A private lesson on how to create a vision board that works and learn how to make positive things happen in your life. Learn how to access your inner sacred space of wisdom where you will connect with your hearts true desire through a guided meditation. Learn strategies on how to change your mindset to master the art of manifestation. Workbook & a surprise manifesting gift. Refreshments,tea and a variety of healthy snacks. Why should I attend a Vision Board Workshop? You are ready to start seeing positive results in your life when you set a personal life goal. You want to take that next step in your life to gain a greater understanding of what you want and need to do. You want to know how to use your vision board and create intention statements to break through procrastination. You want to learn how to manifest positive experiences, abundance or relationships in your life. You are interested in learning in a positive group setting where you can share your ideas, ask questions and learn in a positive enviornment. You will leave this workshop with your own personalized custom vision board created from your heart and passions that will be used as a road map to where were want to go in your life. Schedule (10:00am to 2:00pm) – Workshop is scheduled in 3 options – one on one private session, small group or team building workshop. Light refreshments and healthy snacks will be provided (tea, coffee, water, and sparkling water). Please bring a journal to take notes during the educational portion of the workshop. You may also want to bring personal photos to use on your vision board. All other materials will be provided during the workshop. Fill out the form & I will email you weekly doses of inspiration, practical healing tips, special offers, and BONUS gift —instant access to my free ebook.